Sophie Crestwood is never going to catch a husband. Her father is a gossip, her mother has her nose in a book, and little Jack has shamefully been dismissed from boarding school. Worst of all, a pirate moves next door into Pembroke Hall. 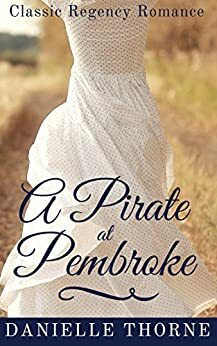 When Sophie’s sent to a matchmaking party at a neighboring estate, the pirate from Pembroke arrives and distracts everyone from the summer festivities. Unguarded, her feelings about the mysterious Captain Murdock bloom into a trusted friendship that Sophie fears may come to mean more than anyone would ever suspect.